Veg boxes are a great way to give your family, healthy, local grown food and support local businesses. Local Mums recommend the best veg box delivery services in our area. 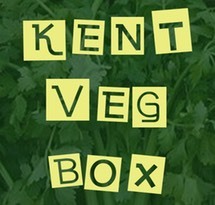 "I highly recommend�Kent Veg Box�to all Local Mums. You can't get fresher than this.�Wow! Great selection of fresh seasonal veg - the colour, smell and taste just go to prove its freshness. Love it!" As all of our veg, meat and fish comes from local Kent suppliers, it is as fresh as you can get. 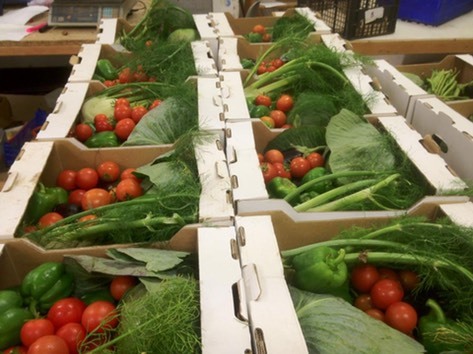 Our veg is harvested for us on Tuesdays and delivered to you by Friday. A short supply route means you can only get fresher by growing it yourself! Our fruit is local when available (loovvveeee Kent cherries..) but as there are no orange groves in Kent we do use overseas fruit. We have also been told by a few customers that their kids eat our veg when they really didn't like the supermarket stuff. That has to be good doesn't it? We are not some big company shipping tonnes of produce. Basically it is just us, Steve & Becca, and a few helpers. You won't find a help desk in India or a call-queuing system playing plastic pop at you. Or worse, James Last. We are a small outfit who visit the farms ourselves, pack the boxes ourselves and deliver the boxes ourselves. We therefore have the personal touch which is how we like it. You can talk direct to us and we to you!